Regardless of the condition, prevention is a world easier than a cure, although incredibly less dramatic. But can seizures be prevented? Many would think this is a pointless question. The general consensus is that we know so little about what causes a seizure that we couldn’t possibly know enough to prevent to onset of epilepsy. It is well established that things like a family history of seizures or prior head trauma can contribute to the onset of epilepsy, but these hardly fall under the category of deliberately preventable. 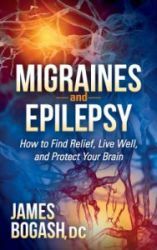 For myself, however, I firmly believe that we have a good grasp on what happens to the brain cells to produce seizures, enough so that I’ve written a book on the topic that focuses heavily on things that you can do to protect and heal your brain (which you can take a look at by clicking here). Compared to those with the best cardiovascular fitness levels, those who had low cardiovascular fitness had a 79% higher risk of developing epilepsy. By the same comparison, medium cardiovascular fitness led to a 36% higher risk. To put this in reverse terms, having a high level of cardiovascular fitness was strongly protective against the development of epilepsy. This may seem like a stretch based on the average understanding of seizures, but when you look at how much good cardiovascular health plays a role in the optimal function of the brain, it doesn’t seem quite so far-fetched. Either way, there was a clear association, which adds further weight to the concept that we are strongly in control of what happens to our brains, from dementia to Alzheimer’s to migraines and seizures. For the migraineur or epileptic who has already crossed that line, the addition of exercise to your treatment regimen is not optional—it is an absolute requirement.